A public benefit or religious corporation must give the Attorney General written notice that it intends to dissolve at or before the time it delivers articles of dissolution to the Secretary of State pursuant to Neb. Rev. Stat. § 21-19,131. No assets shall be transferred or conveyed by a public benefit or religious corporation as part of the dissolution process until twenty days after it has given adequate written notice to the Attorney General or until the Attorney General has consented in writing to the dissolution or indicated in writing that he or she will take no action with respect to the transfer or conveyance, whichever is earlier. 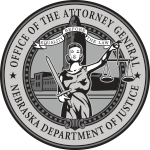 The following is information the Attorney General needs to review in order to determine whether the proposed dissolution is in accord with the Nebraska Nonprofit Corporation Act and other applicable law, is in the public interest, and is appropriate pursuant to the corporation’s organizational documents. Please address each item below and label uploaded files accordingly in your response. Additional information beyond the following may be necessary, depending on each specific situation. The authority the person providing the dissolution notice has to act on behalf of the nonprofit corporation and documentation demonstrating how that authority was derived or granted. If you are an attorney supplying the information, indicate specifically whom you represent. Example: Board of Directors votes to hire attorney X to assist in dissolving the corporation at its annual meeting. A copy of the meeting minutes signed by an appropriate officer is acceptable. The address and contact person for each entity that will receive the asset(s). If applicable, please include the EIN number for those tax-exempt organizations that will receive charitable assets upon dissolution. Does the corporation require membership approval of dissolution? Adopted the plan of dissolution. Example: A copy of notice sent to the board of directors indicating that a vote to dissolve the corporation is to be held, and a copy of the meeting minutes of the board of directors in which the dissolution was approved and the plan of dissolution was adopted. Complied with notice provisions in regard to the vote of the board of directors. Example: A copy of notice sent to the board of directors indicating that a vote to dissolve the corporation is to be held, and a copy of the meeting minutes of the board of directors in which the dissolution was approved and the proposed plan of dissolution was formed. Approved the proposed plan of dissolution. Example: A copy of the notice to the corporation’s members of the proposed membership meeting that states the purpose, or one of the purposes, of the meeting is to consider dissolving the corporation and that includes a copy or summary of the plan of dissolution, and a copy of the membership meeting minutes in which the dissolution was approved. Example: A copy of the members’ written consent and a copy of the materials used to solicit the approval, which must include a copy or summary of the plan of dissolution. A statement of assets and liabilities of the corporation. When all or substantially all of the assets of a public benefit corporation have been transferred or conveyed following approval of dissolution, the board shall deliver to the Attorney General a list showing those (other than creditors) to whom the assets were transferred or conveyed.